The Employees’ Provident fund is managed by an organisation called the Employees' Provident Fund Organisation (EPFO), which is one of the largest provident fund institutions in the world in terms of volume of transactions. The organisation came into being in 1952, following the Employees' Provident Funds & Miscellaneous Provisions Act (EPF & MP Act), 1952. All workers whose emoluments exceed Rs.6,500 per month have an option to join the scheme with the consent of the employer. The employee is eligible for membership of EPF from the day he joins such a company which is covered under the EPF and MP Act, 1952. The rate of contribution payable by the member is fixed at 12% of his emoluments - basic pay, DA, cash value of food concession and retaining allowance up to a maximum of Rs.6,500 per month. Voluntary higher contributions are also acceptable at the joint request of the member and the employer. The employee has to declare his previous employment details in Form No.2 (containing the family particulars and nominations) through the employer and the employer submits the same to EPFO. The employee can nominate any one or more members of his family to receive the Provident Fund in case of his death. In case he does not have a family, he can nominate any other person. 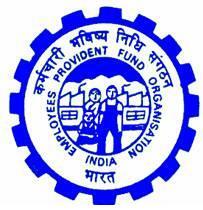 The nomination can be changed by the employee whenever he wishes to do so, within the rules of the EPFO. Although the national website does not have such a link, some EPF offices, Karnataka, for example, has this provision on its website. You have to provide your establishment code and your PF account number and the information gets displayed to you. You will have to visit the regional website through http://www.epfindia.com/RegSites.html and check whether your area office provides such a value added service to you. There is no such laid down rule for providing you with the required information in a prescribed format. The EPFO, as a prescribed rule, sends you only the annual accounts statements at the end of each financial year, to the address where you were last employed. If you are lucky enough to get hold of one, you can, through that statement, calculate further and then keep your own record. In case you want your information in any other month, you may go through the ‘Right To Information’ route and procure the desired information within one month. • WITHDRAWAL BEFORE RETIREMENT: You can withdraw up to 90% of the amount in you EPF account after you attain the age of 54 years, or within one year before actual retirement on superannuation whichever is later. Claim application in form 19 has to be submitted to the concerned Provident Fund Office. Shifting of Job: At such times, the PF balance could be transferred from one employer to another. The existing balance would continue to stay. With fresh contributions made by the new employer. Quitting of Job: PF could be withdrawn, if you quit your job and provide a declaration that you do not intend to work for the next six month. 1. If you have not attained the age of 55 year at the time of termination of service. 3. 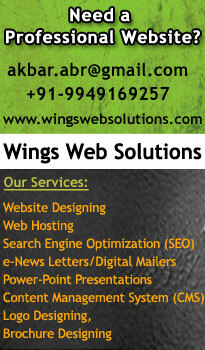 If you migrated from India for permanent settlement abroad or for taking employment abroad. 4. In the case of mass or individual retrenchment. If you have already applied for EPF withdrawal and you want to check the status of your claims application, you can visit http://59.177.81.198/homepage_claim_status_new.php and fill up the form with the details of your EPF office and you Employee PF Account Number. This facility is available on almost all the regional websites also.